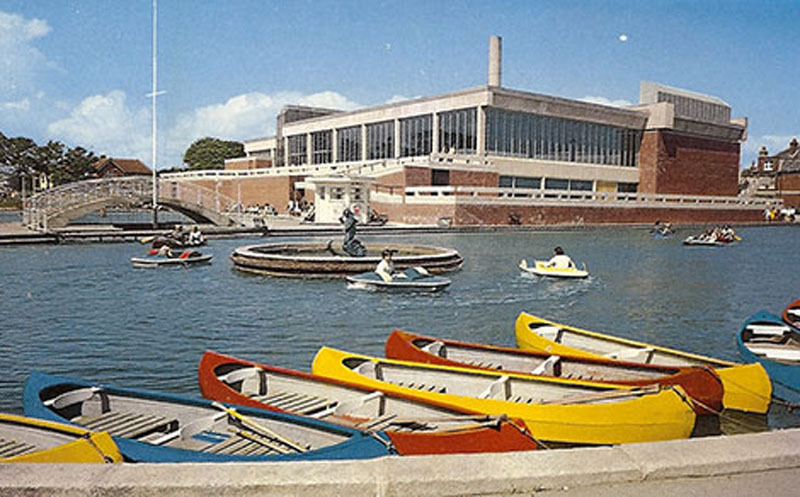 View of the Aquarena across the boating lake, 1970s? My home town of Worthing in Sussex commissioned its own piece of Brutalist architecture to sit beside the seaside and the rather more traditional Peter Pan’s playground. It was a bold statement that perhaps parallels Bexhill’s De La Warr Pavilion further up the coast, and was one of a number of truly modern buildings that were built in the town in the 1960s. The pool recently closed and the adjoining site is currently being developed as a new leisure centre.